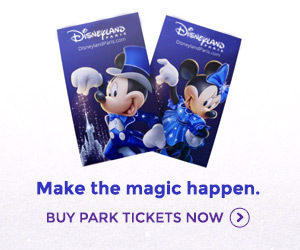 This year’s Disney Magical Moments Festival has already manifested itself along the moving walkway to the parks, replacing advertising for the New Generation Festival and Toy Story Playland with an incoming style of thick typefaces, bold colours and glittery backgrounds. From the first general banner above, announcing the French title of Le Festival des Moments Magiques Disney with a big “2011” and the Sorcerer Mickey icon for the year, guests roll upwards along the walkway past six more “moments”. Featured for the celebration, beginning 6th April 2011, are Lighting McQueen, for his new cameo in Moteurs… Action! Stunt Show Spectacular, the new Alice in Wonderland event, the Jungle Book and Lion King meet ‘n’ greet events, the Peter Pan happening, Mickey Mouse, presumably for the new Central Plaza show, and the Disney Princesses for their advertised new meet ‘n’ greet experience in the former post-show “World Chorus” of “it’s a small world”. You can see the full collection here. I like the banner. Makes it look exciting. Let’s hope it lives up to expectations.